My mostly dry combination skin is going crazy at the moment. It’s become oily and there is redness and breakouts galore. I blame it on my fluctuating hormones. UGH. I needed to balance my skin, but clay masks just aren’t doing enough at the moment. Although I probably shouldn’t have, I decided to take a chance on possibly agitating my skin a bit more. 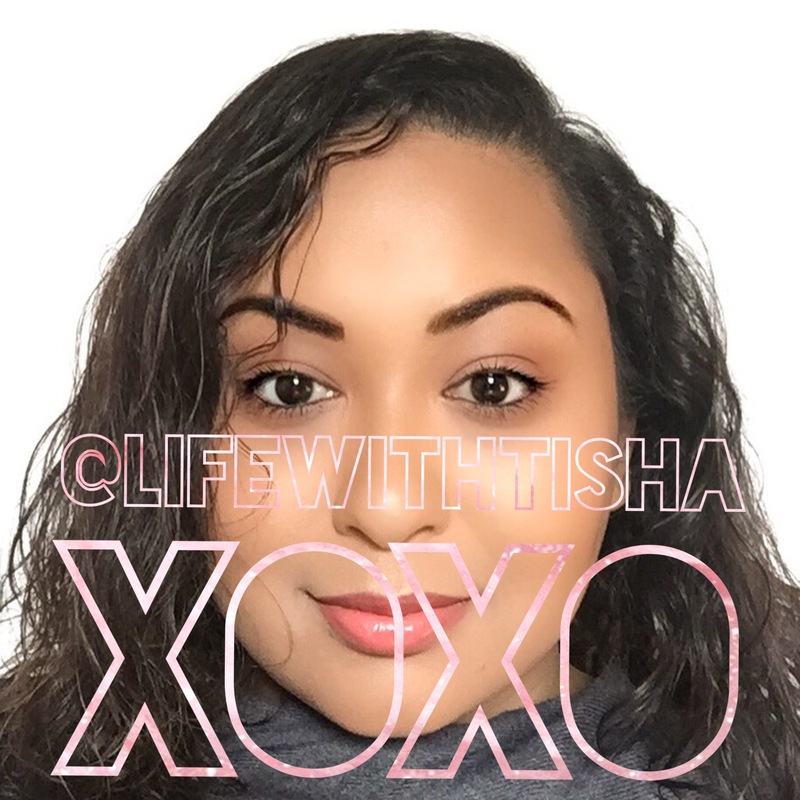 I decided to exfoliate with my DIY coffee scrub to get rid of the dead skin I could feel on my face, which may have been further aggravating my skin issues. 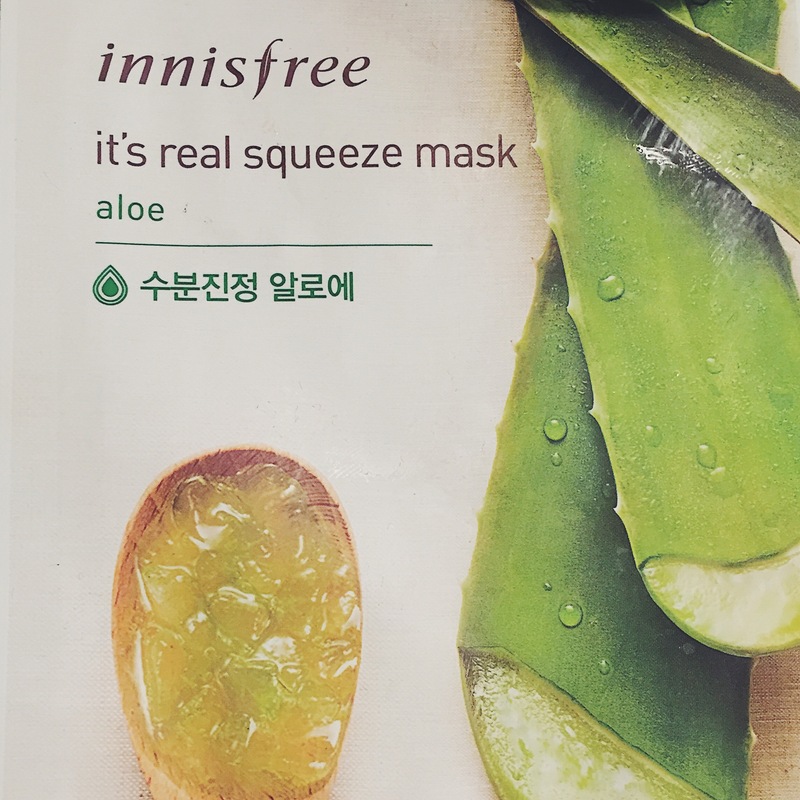 Afterward, I cleansed and slapped on an INNISFREE it’s real squeeze aloe mask. Aloe Vera is excellent for healing, treating redness, tightening, and moisturising the skin. It’s exactly why people use aloe vera for sunburns; instantly soothing and cooling. Everything I need at the moment! Could I have made a DIY aloe mask? Absolutely. However I couldn’t be bothered to go down to the kitchen to whip it up another item, which is why this mask was just perfect. Like the other masks in this line, the mask is very well hydrated with serum to the point where it’s even dripping a bit when taken out of its packaging. The minute I place it on my face, it was very cooling. Perfect for red, irritated skin, and especially cooling during hot summer days. 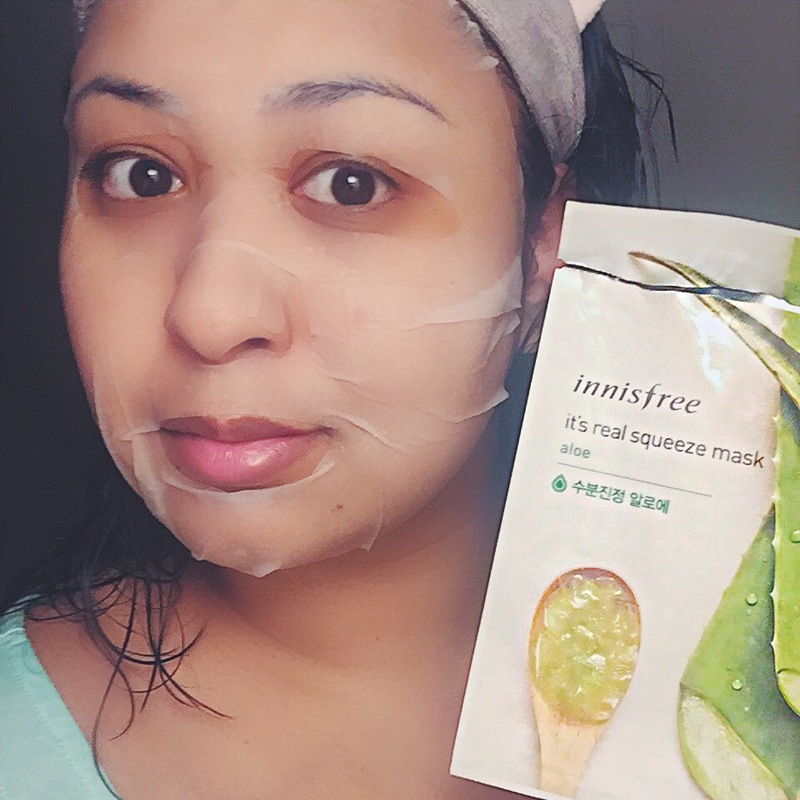 The sheet mask is good quality and a nice size. It’s a bit longer and wider than my face, which means it will fit different sized faces without any problem. I only wish the nose portion was slightly longer! Overall, my skin is feeling lovely, and the aloe mask has helped my skin calm down. I don’t doubt a DIY with fresh aloe would be much more effective, but this is a very fast and affordable alternative for the girl who prefers ready made mask packs. It makes me look like a ghost, but I’m loving it!